At Mulberry Learning, young minds embark on an educational adventure where they are moulded into intelligent, future ready individuals. 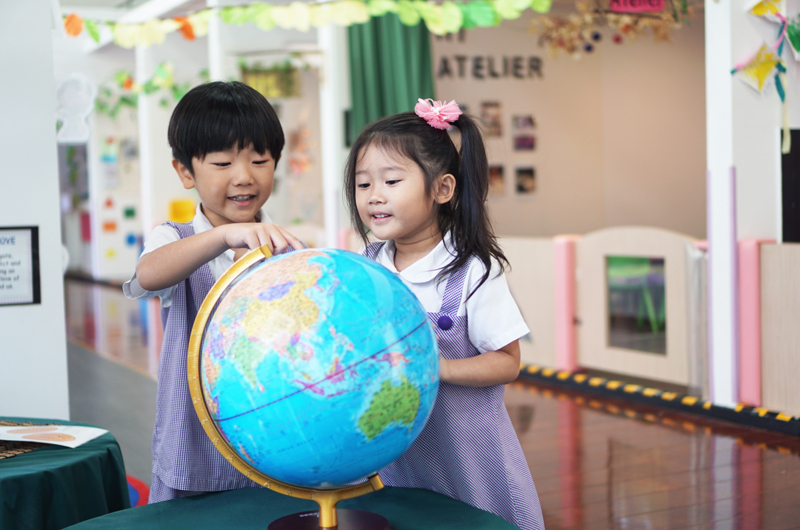 Established since 2006, the award-winning brand with a global network of over 15 schools offers programmes to children aged two months to six years. The preschool employs a holistic curriculum that integrates the best of globally recognised pedagogies: Reggio Emilia, Multiple Intelligences and Habits of Mind. Among them, Reggio Emilia is regarded by education experts as the only global pedagogy able to truly ignite a child’s love for learning, due to its child-directed approach. In addition, Habits of Mind is an established framework for intelligent thinking adopted by many elite Primary Schools and even the Gifted Education Programme in Singapore, but Mulberry Learning is the only preschool network in Singapore and the world to be certified by the USA for Habits of Mind. Giving little ones a developmental head start, Mulberry Learning’s comprehensive curriculum begins as early as the infant years. Encompassing five core pillars: Multi-Sensory Learning, Thematic Discover, Music & Stories, Muscle Development and Self Exploration, these special themes play on infants’ natural curiosity, providing stimulation and sensorial learning amid a safe and nurturing environment. For other age levels, Mulberry Learning’s proprietary iDevelop/iExperience/iExplore/iLearn model promises a fun learning experience like no other, providing each child with a comprehensive and holistic education that instills core skills and knowledge, alongside intelligent thinking habits and dispositions needed to excel in the future world. iLearn: Carefully designed to lay the basic foundation of a child’s learning and build children’s critical thinking skills, Mulberry Learning’s iLearn embodies a suite of core programmes and enrichment programmes that are based on S.T.E.A.M. (Science, Technology, Engineering, Arts and Mathematics). iExplore: At Mulberry Learning, child-directed learning is emphasised. Children are empowered to explore and experience real task management and problem solving through the Reggio Emilia-inspired Project Inquiry process. This approach moulds little ones into self-directed learners who are equipped with real-world skills such as communication, effective problem-solving skills and question and reasoning skills. iDevelop: The iDevelop model builds creativity, language skills and concept knowledge via structured learning frameworks. Through Habits of Mind, children develop positive thinking habits, display strength of character and the right mindset towards lifelong learning. iExperience: Believing that children learn best in beautiful surroundings, Mulberry Learning spares no expense in creating curated learning zones. Spaces such as The Atelier, Discovery Cove, Imaginary Playscape and Reading Nook are richly equipped with the appropriate learning materials to engage their creativity and stimulate their senses. As they progress, the preschool strengthens little Mulberrians’ academic fundamentals to ensure they are well prepped for the rigours of primary school. Apart from exposing them to basic language skills and math concepts, the children are groomed into confident and articulate individuals who are able to think outside the box and work as a team. SC Preschool Awards 2017 – Mummies’ Choice Award Winners!